Want to host a 1-day or weekend workshop on Rights of Nature and Community Rights where you live? Check out our Toolkits, books, videos and other resources. Our work in the regulatory system - who is truly being regulated, and can we do more? Explore how conventional regulatory structure of law limits our ability to make meaningful change. What communities are doing differently - how rights-based organizing works. Learn how nearly 200 communities across the U.S. - including most recently Mendocino California —have begun to assert local control to protect the rights of their residents, their communities, and nature. Want to go deeper? 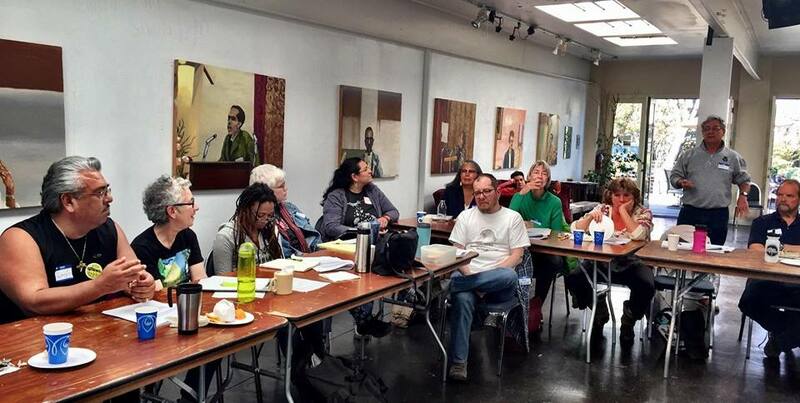 A weekend training includes Rolling-up our sleeves: Applying rights to your local issue - are you ready to take action and what would it look like?